Following the release of Hamza Al-Mustapha and Lateef Shofolahan, accused of masterminding the killing of Kudirat Abiola, her son, Lekan Abiola, has expressed disappointment over Friday’s Appeal Court judgment, which upturned the death sentenceAccording to reports, the Court of Appeal sitting in Lagos had earlier on Friday discharged and acquitted the former Chief Security Officer to the late Gen. Sani Abacha (Al-Mustapha) and Shofolahan, an ex-aide to the late Kudirat. “I pray that God will forgive my mother and I know that my mum and dad will definitely get justice; maybe not in Nigeria, but I’m sure that Allah will give them justice where they are,” Lekan said. According to him, the Abiola family would still have been disappointed even if the death sentence had been upheld by the Appeal Court. Reacting to the assertion that military officers cannot be liable for crimes committed while carrying out orders from a superior officer, Abiola said military law also recognised illegality and had made provisions for such scenarios. He argued that junior military officers get punished abroad for criminal offences carried out under direct order from a superior boss. He said, “It has been proven that even in the military, you are not bound by law to obey an illegal order. If a human being asks you to do something, you have to ask yourself if it’s a legal order. Abiola also expressed concern about the general situation in the country, saying that many Nigerians would be silently facing a fate similar to that being faced by his family. He said, “Only God knows how many Nigerian family members have been killed by the police or the army and could not get justice. If something like that can happen to my family, what about other families that people don’t know anything about? Although he declined further comment on the judgment, Mubashiru said the family would issue a statement on the issue after a meeting of all members. Similarly, Kudirat’s daughter, Hafsat Abiola-Costello, in a text message to one of our correspondents on Friday, said the family would not want to make any hasty comment on the appellate court’s decision. The judgment of the appellate court came about 14 years after the appellants were first arraigned in 1999, with two others, for the murder of Kudurat, wife of the winner of the June 12, 1993 presidential election, Chief MKO Abiola. In the two separate but unanimous judgments delivered on Friday, the Justice Amina Augie-led appeal panel discharged and acquitted al-Mustapha and Shofolahan of the murder charges for lack of evidence. Lack of evidence was the same reason the Supreme Court discharged and acquitted son of the late Head of State, Mohammed Abacha, from the same case on July 11, 2002. 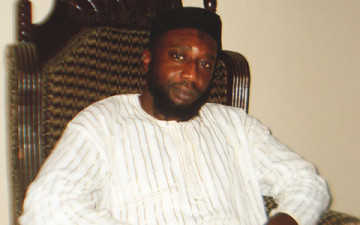 The fourth person, Rabo Lawal, who was, during Abacha’s regime, the head of Mobile Police Force Unit in Aso Rock, was also discharged and acquitted from the case on July 14, 2011, by Justice Dada in her ruling on a no-case submission, which he (Lawal) filed after the prosecution closed its case. The all-female appeal panel held that both the charges of murder and conspiracy to murder preferred against the two men by the Lagos State Government were unsubstantiated. The two other justices on the panel were Rita Pemu, who read the lead judgment, and Fatima Augie. Pemu described the lower court’s judgment as “worrisome,” adding that it was based on principles strange to the nation’s criminal justice system. “The evidence of the prosecution was so unreliable that no responsible court will base the conviction of an accused person on,” she said. She held that the two star witnesses of the prosecution (PW2 -Barnabas Jabila aka Sgt. Rogers and PW3, Mohammed Abdul aka Katako), having recanted their incriminating testimonies, the evidence given by them could no longer be relied upon. “I wonder why the learned trial judge did not expunge the testimonies of PW2 and PW3,” Pemu said. On the testimony of the first prosecution witness, Dr. Ore Falomo, who was MKO Abiola’s personal physician, Pemu said the evidence given by him was immaterial, having only alleged that the bullet extracted from the head of the deceased was “uncommon one,” without any further proof. “These questions are left unanswered by the prosecution,” Pemu said. She said the incomplete testimony of the fourth prosecution witness (PW4), Ahmed Fari Yusuf, a retired Commissioner of Police, “goes to no issue” and as such, all the statements credited to the appellants, which were tendered through him, were all immaterial. The appellate court held that even if the appellants had actually committed the alleged crimes, nothing in the testimonies of all the four prosecution witnesses suggested so. The court castigated the police for a “wishy-washy” investigation of the case, adding that the investigation of the Special Investigative Panel, set up on the case in 1999, was strange to the nation’s criminal justice system. According to Pemu, the investigation conducted by the SIP on the case was a usurpation of the power of the police under sections 214 of the constitution as well as under the provisions of the Police Act. She said, “The prosecution having failed to prove its case against the appellants, the appellants are entitled to being discharged and acquitted. “Therefore the judgment of Justice Mojisola Dada of the Lagos High Court on January 30, 2012 is hereby set aside.